This is a different kind of ‘World Moment’ today. A much more important one. One man’s life hangs in the balance and we may be able to change it for the better. Many of you may know Pastor Saeed’s story, but for those of you who don’t, here it is. This is taken from www.savesaeed.org. “Most of us know that there are places in the world where Christians undergo immense persecution for their faith. But distance breeds forgetfulness, and for too many of us, out of sight does mean out of mind. We cannot, however, forget our imprisoned brothers and sisters. Saeed Abedini, a 33-year-old Pastor, father, and husband from Idaho, is currently imprisoned in Evin Prison in Tehran, Iran. 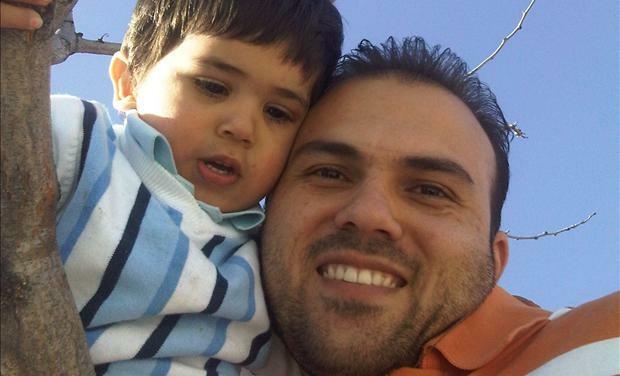 On 28 July 2012, during a visit to Tehran to visit family and to finalize the board members for an orphanage he was building in Iran, the Iranian Revolutionary Guard detained Saeed, asserting that he must face criminal charges for his Christian faith. After intense interrogations, Saeed was placed under house arrest and told to wait for a court summons. On 26 September 2012, instead of receiving a summons telling him where to appear, five members of the Revolutionary Guard raided Saeed’s parents’ home in Tehran, confiscated many of Saeed’s belongings, and took him to an unknown location. After four days the Revolutionary Guard informed the family that Saeed was in solitary confinement in the notorious Evin Prison. 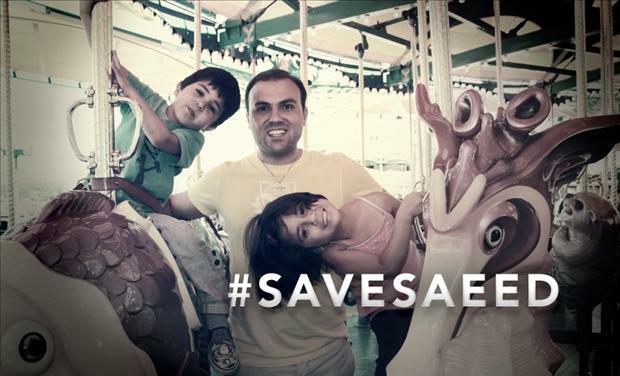 Saeed remained in solitary confinement for approximately four weeks before he was moved to Evin Prison. During solitary confinement, Saeed was only brought out of his small, dark cell to be subjected to abusive interrogations. Saeed has been beaten and threatened with death for his faith. In a letter Saeed penned from prison on 10 January 2013, Saeed said: I am “told I will hang for my faith in Jesus” and that he suffered “intense pains after beatings in interrogations.” He appeared before Judge Pir-Abassi on 21 January 2013, to present his defence The lawyer confirmed in Iranian news that Saeed was on trial for intentionally undermining the national security of Iran through his leadership in Christian house churches. Saeed and his attorney argued that his intention in gathering with Christian believers was motivated solely by his faith and that he had no intent to undermine the government. Judge Pir-Abassi had requested Saeed’s lawyer go to the media and state that the trial was conducted fairly and that he would be let out on bail soon. Yet, the family had sought bail in the past, and was repeatedly denied. One week after Saeed had presented his defence, he was convicted and sentenced to eight years in prison. He has been in prison for more than 220 days. Saeed had been denied medical treatment for infections that resulted from beatings. The ward doctor and nurse refused to treat him because, as a Christian, he was considered “unclean” and an infidel. Saeed’s family in Tehran may visit Saeed on Mondays, but he is not permitted to make phone calls, cutting him off from his wife and two young children in the U.S. In late February it became known that Saeed was suffering from internal bleeding, an injury from beatings he endured during interrogations. Doctors examined Saeed in early March and determined that his injuries warranted immediate attention, and, in their medical opinion, he needed to be treated in a non-prison hospital. For a month, the Iranian regime ignored this advice. In an attempt to appease international pressure, on 8 April 2013, the Saeed was taken to a private hospital. Before doing so, guards forced Saeed to change his prison uniform to that of a murderer. Saeed resisted, the guards beat him, and forced him to wear the uniform. When Saeed arrived at the hospital he was never admitted or treated because, according to the guards, the doctor on staff was not present. 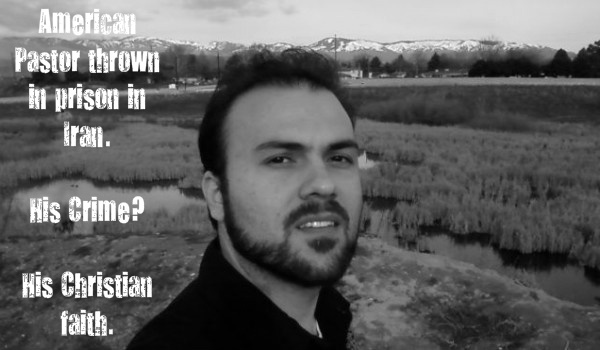 Saeed has reported that several cell-mates who appear to be connected to the Iranian intelligence police, have threatened to suffocate Saeed while he sleeps. Recently, Saeed’s condition became even more serious. Having been denied medical attention, he was thrown into solitary confinement. Beforehand, Saeed complained of kidney pain. He and the several other prisoners wrote a letter to prison officials in peaceful protest of lack of access to medical attention. In response, Iranian officials placed ten prisoners under solitary confinement, Saeed among them. Last time he was in solitary confinement, his medical condition substantially worsened. There is no reason to believe this time will be different. Saeed is now cut off from any visitation. A petition has been started in Saeed’s name, and it quickly received overwhelming media attention. Secretary of State John Kerry has called for his release, the White House has called for his release, and the House of Representatives held an emotional hearing that highlighted Pastor Saeed’s plight. Multiple nations have called for Saeed’s release, and ACLJ attorneys have argued his case before the United Nations. Saeed’s petition has over 610,000 signatures and a letter writing campaign to encourage Saeed has garnered over 50,000 letters. Artists such as Toby Mac, Michael W. Smith, Steven Curtis Chapman, Mercy Me, Skillet, Relient K, and Audio Adrenaline have been involved, and lent their voices to raise awareness. We’re working through Philippians in church these days and I cannot help but see the similarities in Pastor Saeed’s letters and the Apostle Paul’s. Both struggle and face hardship in prison. Both of them talk of desiring to see God move in the lives of those imprisoned around them. Both encourage the believers that read or hear the letter to remain steadfast and seek the Lord in times of trouble. Amazing men of faith in times of terrible persecution. I hope that you will join me in reaching out to the Iranian government to release Paster Saeed. After nearly a year of imprisonment and torture for his faith, it’s time for him to go home to his family. Also, you can join in the prayer vigil to be held on September 28th!